In case you want your next project car to be truly over the top. Under the hood of the last remaining V12 Ferraris is a menace of an engine. Raw stats include 6.3-liters, natural aspiration like the gods of thunder intended, and an incredible 651 to 789 horsepower and 503 to 520 lb-ft of torque in the FF and LaFerrari respectively. Put simply, these lumps of alloys and octane are the secret sauce that makes Ferraris what they are, which is why the Prancing Horse isn’t too keen on letting them get under the hoods of stray project cars. Ryan Tuerck’s is a rare example of a Ferrari power plant that’s made its way into the hands of talented custom car builders, but getting ahold of the holy grail of Maranello engines, the LaFerrari’s 6.3-liter V12, is an opportunity that has remained elusive. There was , but it commanded a steep price of $285,000. This one, which has made its way to , is much more reasonable. 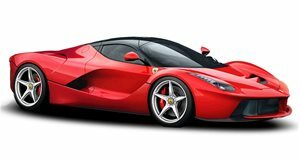 Based out of Ft. Lauderdale, Florida, seller R&G Auto Sales is offering up a “2014-2016 FF Ferrari La Ferrari engine” for a mere $39,900. If this dubious offer is the real deal, it’s a steal compared to the LaFerrari engine on eBay. The seller, who boasts a five-star rating, claims that this engine “had a light tap but it’s looking like brand new.” Sounds promising. Or maybe not so much given that the names “FF” and “LaFerrari” make it seem like the seller doesn’t quite know which car this engine came from. A glance at the intake manifold confirms that this engine lacks the carbon intake of the LaFerrari and is closer in appearance to the V12 in the FF or F12 Berlinetta. If the pictures are real, at least we can say that the engine really does look like it’s in good condition and ready to be part of one of the most insane project cars in existence.